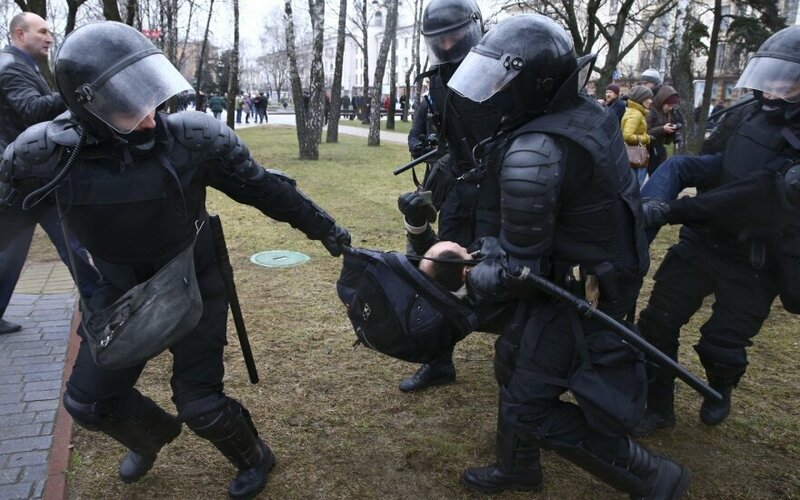 Viktoras Pranckietis, the speaker of the Lithuanian parliament, has condemned the detention of several hundred people during last weekend's protests in Belarus. "We condemn the use of brutal physical force by force structures and express our indignation at indignation at gross violations of the freedom of assembly and expression," the speaker of the Seimas said in a statement published on Tuesday. "We strongly condemn the detention of peaceful protesters, leaders of the democratic opposition, members of the media and a large number of civil society activists," he said. Pranckietis called on Belarus' authorities to immediately stop any violence against civil society activists and to release those detained. 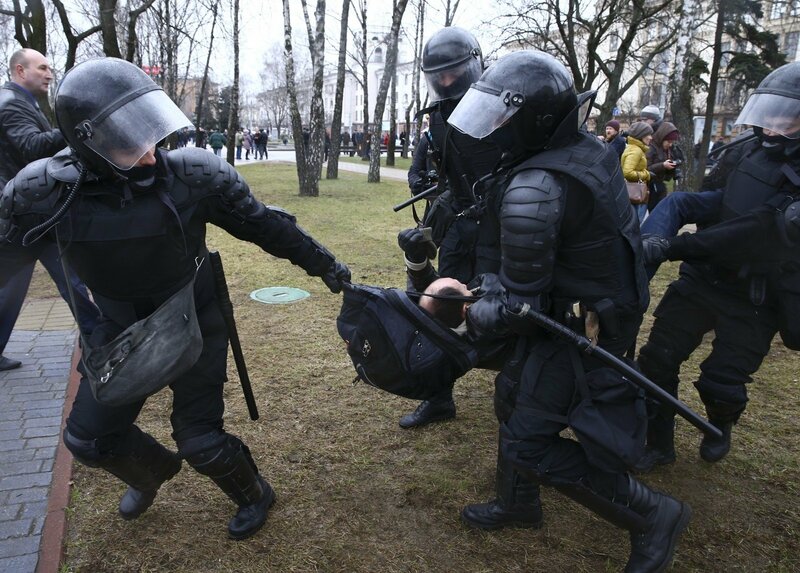 Non-governmental organizations say that police detained over 400 activists as groups opposing government policies attempted to hold an unauthorized rally in Minsk on Saturday. This followed smaller-scale arrests in Belarus in recent weeks as people protested against a controversial new tax on the unemployed. Pranckietis' statement came as he visits Poland on Tuesday. The speaker of the Seimas is taking part in an assembly of members of the Lithuanian, Poland and Ukrainian parliaments in Warsaw. He also met with Piotr Naimski, the Polish government's plenipotentiary for energy infrastructure, who said a couple of weeks ago that his country would not purchase electricity from Belarus' the Astravyets nuclear power plant and would dismantle the power line between the countries. Lithuania has called on its neighbors to boycott electricity from the plant, which Vilniaus says fails to meet international standards. "We appreciate the Polish government's statement that Poland will not purchase electricity from Belarus' Astravyets nuclear power plant," Pranckietis said during the meeting with Naimski.